As the GDPR comes into full effect, many businesses are looking for extra help when it comes to managing their online presence. The General Data Protection Regulations have had a considerable impact on website operators, and they could make things more difficult for smaller businesses. As well as changing the way companies collect data, the GDPR has implemented new rules regarding the governance, management and destruction of personal data. As a result, increasing numbers of SMEs are reaching out to agencies in order to access assistance with their online marketing. For agencies, this can only be good news. While the GDPR has undoubtedly added new restrictions to online marketing, this increases the market for agencies and creates a whole new client base for them. However, agencies will need to abide by the GPDR too and this could be time-consuming for staff. As agencies scramble to fulfil the requirements of new and existing clients, how can you make the most of the increasing demand for your services? Managing marketing on behalf of numerous clients can be a complex business. As well as keeping track of response rates, engagement and funnel follow-throughs, agencies will need to ensure each client’s activities are GDPR compliant. This means gaining consent for different types of marketing communications, and not just ensuring the user has given one type of consent. Following this, agencies will need to segment user lists based on their consent, before enacting marketing campaigns on behalf of clients. While this may sound complicated for just one campaign, things get more complex for agencies who are managing multiple campaigns on behalf of numerous clients at any one time. 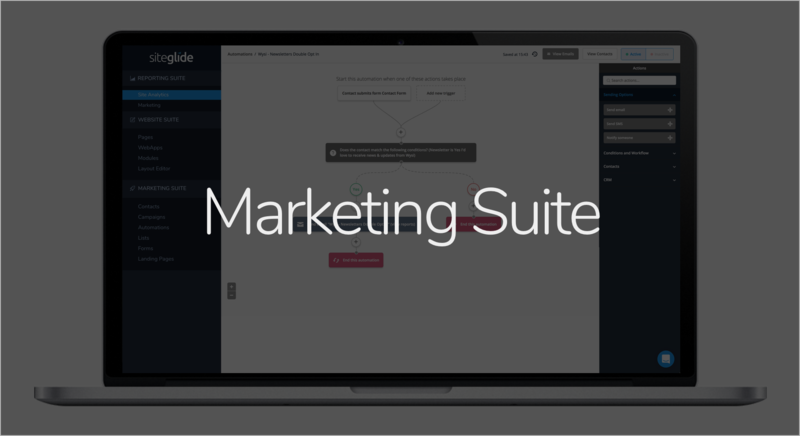 However, a new Marketing Suite from Siteglide ensures agencies and businesses can manage their online marketing quickly and easily. By incorporating a dedicated Customer Relationship Management system (CRM), the Marketing Suite makes it easy to divide users based on the consent they’ve given. In fact, automation features ensures users are added to the CRM directly from the client’s website, with the relevant consent options being added to the system. For businesses, data is extremely valuable and it’s always worth having. As well as gathering data from existing clients, companies can benefit from capturing data from prospective customers and regular site visitors. Of course, this can only be truly effective if data is captured in a reliable, efficient and legal way. With Siteglide, businesses can feature fully GDPR-compliant data capture forms on their website. Once gathered, the data is automatically analysed and added to the relevant databases, ready for marketing materials to be sent out the user in due course. Want to send a welcome email when a new user signs up to the site? No problem! A segmented database means it’s easy to arrange automated emails, so you can welcome new users, thank a customer for a recent purchase and even remind would-be buyers what’s left in their baskets. As agencies build their client list on the back of the GDPR, Siteglide offers a unique way for agency staff to manage their new and existing client base. 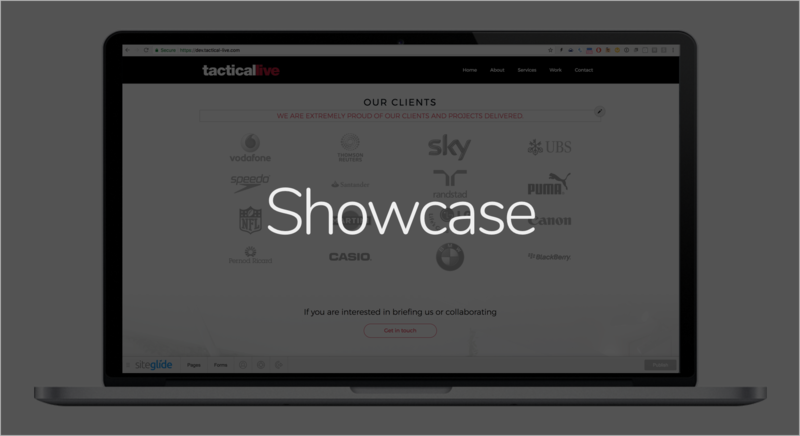 A user-friendly interface ensures client sites can be managed in seconds, with landing pages, marketing campaigns and contact management just a few clicks away. 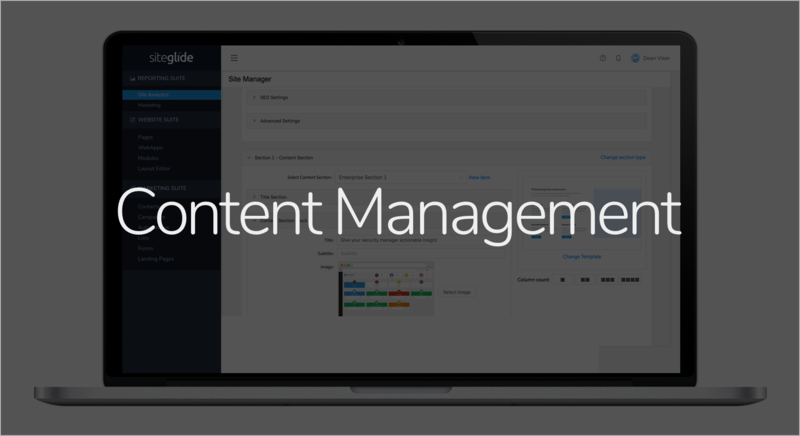 Why not find out how Siteglide could increase efficiency in your business? Book a demo today.